Many thanks to Jenn Solomon-Rubio and Infinity Dance Arts for your generous support of California Rhythm Project! Thank you to Dr. Cheryl Borrego, D.C. and San Diego Chiropractic Wellness for supporting California Rhythm Project! California Rhythm Project would like to thank Coles Fine Flooring for generously donating the flooring material for our portable tap floor. Thank you Dixieline for your support of our tap floor project. THANK YOU TO OUR 2018 & 2019 DONORS AND PATRONS! 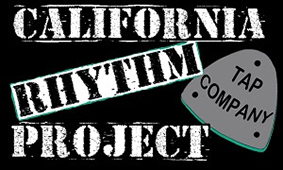 California Rhythm Project performances are made possible through partnerships with Arts for Learning San Diego, Grossmont College, Infinity Dance Arts and Southwestern College Dance Department.